Human Rights Watch (HRW) continues to back legislation that gives youthful offenders a second chance at life after committing serious crimes. Most recently, law changes in California have allowed offenders who were under age 25 when they committed the crime to seek a sentence review after serving between 15 and 25 years— depending on the category of crime. HRW is now working on new legislation geared to stop offenders 16 years old and younger from ever being sent to adult prisons. Currently, when an offender under age 18 is sentenced as an adult, he or she is kept in the Department of Juvenile Justice (DJJ) until his or her 18th birthday and then transferred to adult prison. Senate Bill 1391 would stop that practice in California. When Calvin began investigating the kind of crimes that juveniles committed that sent them to adult prisons, she discovered that 72 percent of the juveniles had committed non-homicide crimes, such as robberies and assaults. “Why are we treating 14- and 15-year-olds like this?” Calvin asked. Calvin said that keeping a young offender in DJJ is in the best interest of the criminal justice system. Calvin said that she’s interested in hearing from men and women who are serving time in adult prisons who committed their crimes as juveniles. 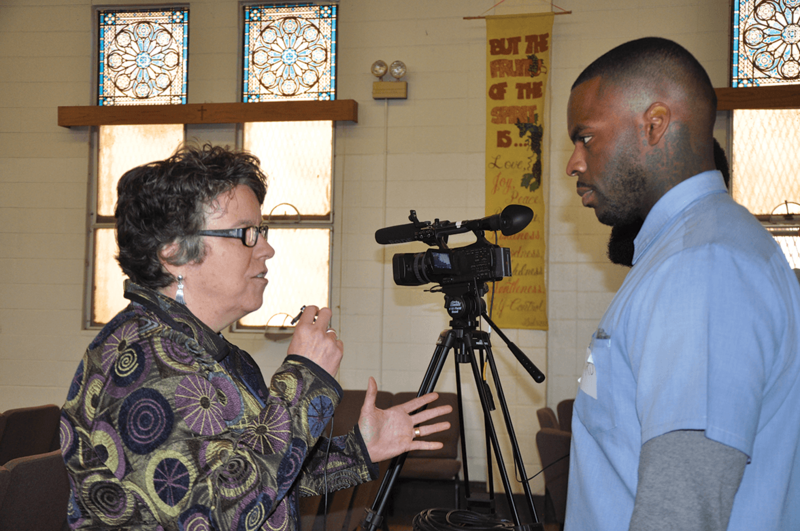 “Even if you haven’t undergone such an experience, you may have witnessed a youngster who struggled in adult prison after being transferred from DJJ. Your stories are important, too,” Calvin said.